B. Thomas (Arlington, Texas, United States) on 22 November 2015 in Landscape & Rural. 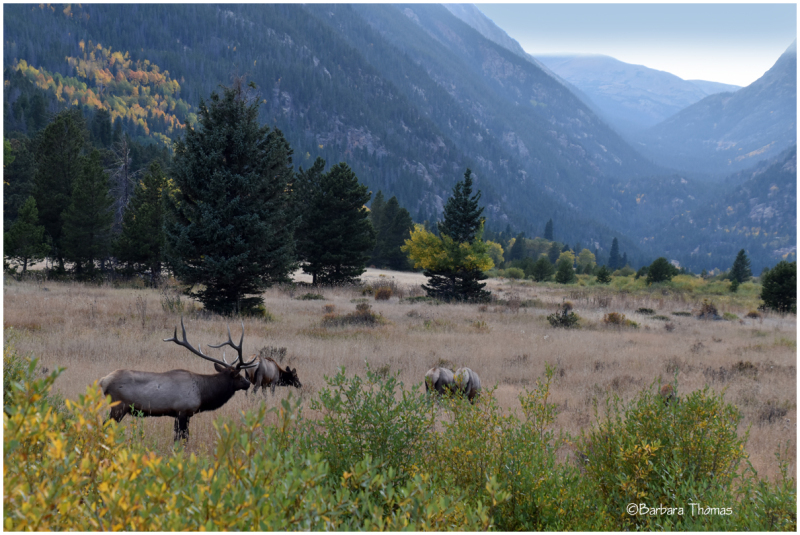 Elk grazing in a mountain meadow in Rocky Mountain National Park in October. It is so peaceful...lovely mood...and beautiful capture..
c'est la fin de l'été, beau rendu ! Nice image they seem so tame.